Branding is our speciality, but we also work on smaller individual projects. Everything from web, print, and digital designs to help establish or extend the reach of your brand. If you have a project that needs the right message and visual flair, Bigger has the solution for you. We are Bigger. We believe in big ideas that inspire even bigger moves. We help discover what makes you unique. Using a collaborative formula of designers, researchers, photographers, videographers, and copywriters, we’ll build your brand bigger. Ready to grow? Join us…let’s get BIGGER. 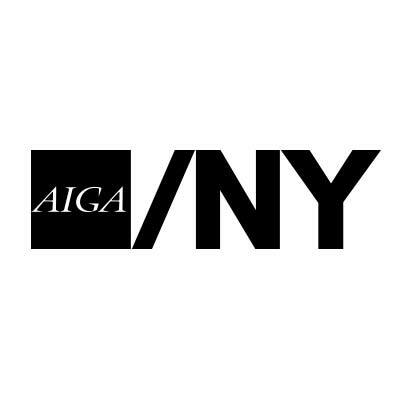 Bigger Creative is a contributing member of AIGA and AIGA/NY. As a member we adhere to the industry standards and common practices outlined by the national organization. You can read more about the organizations standards here. Bigger Creative is powered by the industry standard, Adobe software. With a subscription to the Adobe Creative Cloud we are always up-to-date with design technology trends, and the ability to implement new programs before they are released to the general design public. With over millions of images, vectors, illustrations, and videos we are always prepared to add that special visual your design may need. Assets that are rights managed and high quality, raise the bar and take your design to the next level. We are artists, we are people, and like you, we do many things. We play, we commute, we work, we study, we learn and we teach. We drink coffee and read books. We like music, fashion, and culture. We like to feel that we’re contributing to something Bigger. And, we know there is always room for improvement. We intellectualize, hypothesize, strategize. In all this, our framework is listening, loving, collaborating, growing. We are Bigger Creative and we are your next creative team. If you aren't on the web, than your business doesn't exist. In a time when Google is used 3.5 billion times a day, it is important to have a web presence. A lot has changed since 1995 and we can help bring your website to a functioning, responsive, and creative web site that would make any of your users smile and feel confident using your services. We create custom websites based on the Squarespace platform. With 25+ websites developed to date we are proud to be members of the Squarespace Circle, a unique partnership that offers extended support & web hosting discounts. The evolution of technology has created several opportunities for design to evolve into new mediums. From social media advertising to website banners, if your business is looking to bring your message into the 21st century we can help you take the leap. Some may say print is dead, but we think differently. Print design, though it's not as prevalent as it used to be, is a compliment to its digital counterpart. Business cards, brochures, postcards, and posters are still very prevalent in advertising and are still viable ways of communicating with customer and clients. We have proudly partnered with MOO printing to bring your designs to life. It was important for us to partner with someone that offered a quality product, with an eco-friendly process. With a group of trusted creative professionals Bigger Creative can help you with more than just design. Making it easy for you handle several types of projects while saving you time. With two dedicated copywriters Bigger Creative can help you construct the best message to resonate with your audience. We work with a trusted photographer who has done major event and corporate photoshoots with some of New York City's biggest PR & Ad Agencies. Bigger Creative can handle all your video projects with the help with one of Brooklyn's top up and coming independent film makers. New York City Busker and International musician brings their assistance to your audio projects. Bigger Creative can help your business develop anything from a jingle to a full music track. Bigger Creative works with an experienced developer that can assist with any coding project. He is knowledgeable in every type of coding language currently being used on the web today. Our social media strategist is the creator behind the popular fashion blog of Karl Lagerfeld's cat, Choupette's Diary. Bigger Creative can help you construct the social media plan to help get you recognized. We're Ready to Tackle Your Design Dilemma. Let us know a little bit about your project . Just fill out the Project Scope Questionnaire below. We look forward to hearing from you!